TaylorMade’s P7TW (right-handed only) will be available for pre-order May 1 and retail for $2,000 (3-PW). 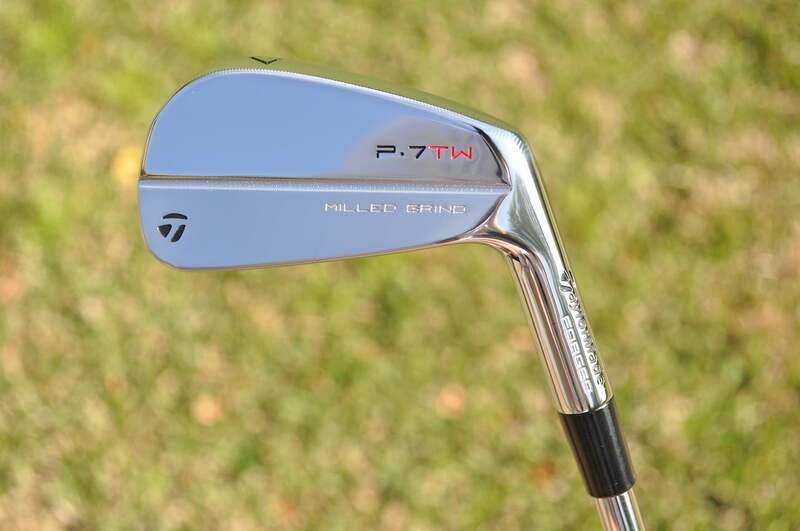 Interested in playing Tiger Woods' TaylorMade P7TW irons? Here's your chance to own the same build. I will keep playing my '72 Wilson Staffs. Jack Nicklaus, Lee Trevino, and Gary Player won the majors that year so hopefully I can say I play the same clubs as one of those 3. I do play Taylor Made woods. It is a little more detrimental not upgrading them. My Corey Pavin Cleveland Golf irons have kept me at a strong 15 handicap for 2 decades. Like I play well enough to hit a forged iron!!! The sweet spot is probably the size of a dime . . . not nearly forgiving enough for this old fat guy . . .
but thanks for sharing the post! I'm not proud enough of my game to drop $2000 on a set of irons. ....and if your wife takes a swing at you, these are guaranteed to cause 20% less damage than traditional irons. He probably doesn't have them anymore. My guess is he swapped them out with the women in the Augusta area. That is his life style. In the Augusta area to collect them all. For $2000, she better make solid contact! enough at the game to go from "game improvement irons" (Ping Eye 2) to tour type blades (went to Hogan Apex). I was a 6-8 handicap at this point in time, but I VERY quickly found out with the blades just how often I was hitting it out towards the toe. Unless you are among the 1% of the best golfers in the world, discard the vanity and stay away from blades. Especially for $2000. irons, I did have what I consider to be one of my best all time rounds, 75, with the Apexes. Not because it was the best score I ever shot, not at all. The two guys I was playing with that day shot 118 and 158 (!, first time he had ever played, and was determined to count every shot, by the rules.) Seeing what I was seeing from my playing partners, shooting a No Birdie 75 was a monumental testament to the powers of concentration back then. (After 3 back surgeries, about forty more years, and a hundred more pounds, I am unfortunately about equidistant between the 118 and the 75 these days. Like the old comment, "I wish I could play my normal game, just ONCE!" That is just another reason I am impressed with Tiger Woods winning the Masters again, he is getting close to playing his normal game again! I grew up playing tour blades - first a set of ladies clubs with fiberglass shafts, then a set of Ram from K-Mart, then a set of some kind with aluminum shafts and finally a custom set of D-4 tour blades and D-3 persimmon woods all with with pro extra stiff shafts, oversize grips and special face-angle driver. I'd been playing golf several years before game-improvement clubs came along. Once you learn to hit the tour blades, you almost never miss-hit one. I would miss-hit the 1-iron occasionally, but not often. I suppose the truth is that with tour blades you have to learn to hit them in the sweet spot or you won't score well, so with no other choice of clubs, you will learn to play well sooner because you develop a more grooved swing. The pro extra stiff shaft was the best game improvement change I ever made. Once I had those, I never drew or faded the ball again - primarily because I no longer could if I tried, since all of the rotational torque was out of the shaft. A lot more options in more people's price range.